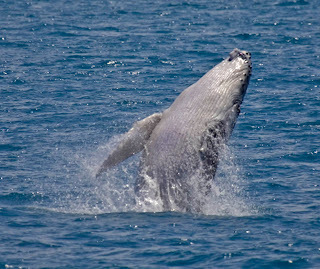 Each year, with the onslaught of the colder months, flotillas of boats take to the open waters up and down the east coast of Australia to witness the annual Humpback Whale (Megaptera novaengliae) migration – which takes these enormous creatures north to the breeding grounds in the Whitsundays and south to Antarctica on the return. 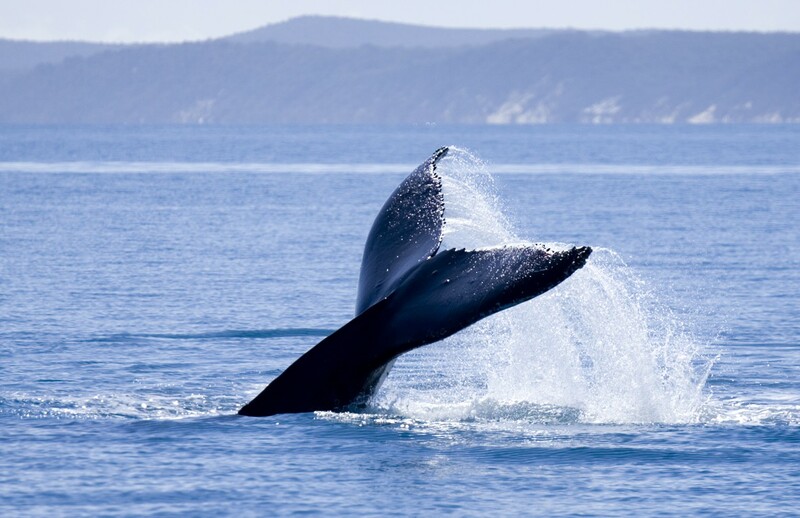 Hervey Bay is the only place in the southern hemisphere and one of only two places in the world where these creatures of the deep take time out of their migration schedule to wallow and socialise in the calm, protected waters between Fraser Island and the Australian mainland. The official whale watch season in our region splashes down from August 1 every year with a blessing of the fleet ceremony and a seafood festival on the mainland. But it’s not just the Humpbacks that are on show in the calm, protected waters of the Great Sandy Strait. This year the season started with the appearance of Migaloo the white whale and continued with a pod of stranded wild Orcas and a Southern Right Whale (Eubalaena australis) and calf in the Great Sandy Strait. Turtles and the always-friendly Indo Pacific Humpback dolphins (Sousa chinensis) also make regular cameos. Who is watching whom? Extremely close encounters! Unfortunately our Humpback gentle giants of the deep weren’t always revered in Australian waters. Whale protection for certain species only started in the 1930s after the effects of whaling on whale populations became apparent - whaling stations in Australia and New Zealand killed more than 40,000 Southern Humpback Whales on their east coast migration – the very same migration that now attracts thousands of visitors. DID YOU KNOW Humpback physiology has similarities to us? Their body stays at a constant temperature, much like humans; at some stage of their life they have some hair on their bodies; it's believed they have a similar bone structure and life span. So too, their circulatory and respiratory systems take in oxygen and transport vital substances around the body; their digestive system is of a similar type to mine; and they give birth to live young. Thankfully, whaling ceased on Humpback Whales in 1963, and they were protected worldwide in 1965 after recognition of a dramatic global decline in numbers. Commercial whaling followed suit in 1978 with the closure of Australia's last whaling station, the Cheynes Beach Whaling Company, in Western Australia. The following year Australia adopted an anti-whaling policy, putting a permanent end to whaling in Australian waters. 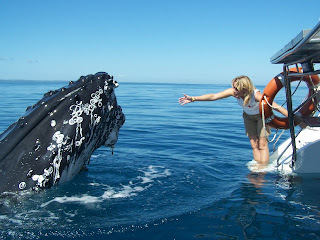 Whilst working towards the international protection and conservation of whales. Since the International Whaling Commission (IWC) moratorium on commercial whaling came in to place in 1986, many whale populations have begun to recover. The Southern Right Whale, which was nearly extinct by the middle of the nineteenth century, is now showing signs of recovery. In recent years, growing numbers have appeared off the Australian coast, where breeding and socialising behaviour occurs before they head south to feed in the nutrient-rich Antarctic waters. So, if you haven’t yet experienced these encounters with our 40-tonne Humpback holidaymakers - and their ensemble cast of sea creatures - we certainly encourage you to come visit, you won’t be disappointed. You call also follow the Humpback action on Facebook and if you're on Facebook or Instagram don't forget to use #fraserisland #kingfisherbay and #HATH.